The best chance anti-Brexit MPs have of reversing Britain’s exit is by accepting Theresa May’s deal and pushing for a referendum during transition, a leading MEP has told Business Insider. Philippe Lamberts, who sits on the European Parliament’s Brexit Steering Group, claimed there isn’t enough time left for pro-EU MPs in Westminster to stop Brexit before exit day in March 2019. However, he said the two year transition period will allow enough time for a UK referendum to rejoin the EU. “Remainers should use a withdrawal agreement to their advantage,” Lamberts said. Anti-Brexit MPs this week encouraged the EU’s chief negotiator, Michel Barnier, to prepare for a UK request to extend Article 50 talks in order to hold another referendum. LONDON -Remain-supporting MPs should vote for Theresa May’s Brexit deal and attempt to reverse the UK’s exit during the transition period, according to a leading MEP on the European Parliament’s Brexit Steering Group. 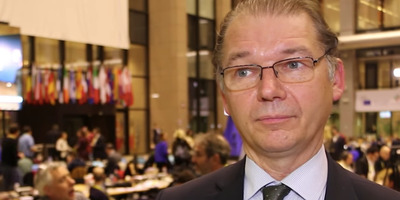 Philippe Lamberts, a Belgian Green MEP, told Business Insider that Westminster MPs who want to stop Brexit should support any deal the prime minister brings back from Brussels, in order to avoid the chaos and disruption of a no deal scenario and create a longer window in which they could push for another referendum. “Remainers should use a withdrawal agreement to their advantage and convince the British public to remain in the European Union,” he told BI this week. “It is more likely to negotiate a reversal from Brexit in 36 months than 3 months,” Lamberts, who meets on a weekly basis with the EU’s chief Brexit negotiator Michel Barnier, said in an interview with BI. Lamberts’ suggestion that there isn’t enough time to hold another referendum before the UK leaves the EU in March comes amid concern within the People’s Vote movement that time is running out. Campaigners have started researching emergency legislation that could be used to stage a nationwide referendum in a matter of weeks. Sir Vince Cable, leader of the Liberal Democrats, and leaders of other anti-Brexit parties this week told Barnier to prepare for a UK request to extend the Article 50 process, in order to create more time for another referendum. Anti-Brexit Conservative and Labour MPs face the question of whether they should vote against any deal May brings back from Brussels. Some fear that doing so could lead to a no deal Brexit which would wreak havoc on the economy. Downing Street, for its part, has indicated that the vote will binary: A simple yes-no question where the alternative to voting against the prime minister’s deal is leaving with EU no deal at all. Other MPs believe that voting against the deal could allow them to table amendments which they could use to push for a softer Brexit or force the government to legislate for a fresh referendum. But Lamberts – who is on the European Parliament’s Brexit Steering Group with five other MEPs including its chair, Guy Verhofstadt – claimed that this strategy was too risky as it could not guarantee there wouldn’t be no deal. Alex McBride / GettyMore than one hundred thousand people march from Park Lane to Parliament Square in what is said to be the largest public protest against Brexit so far. 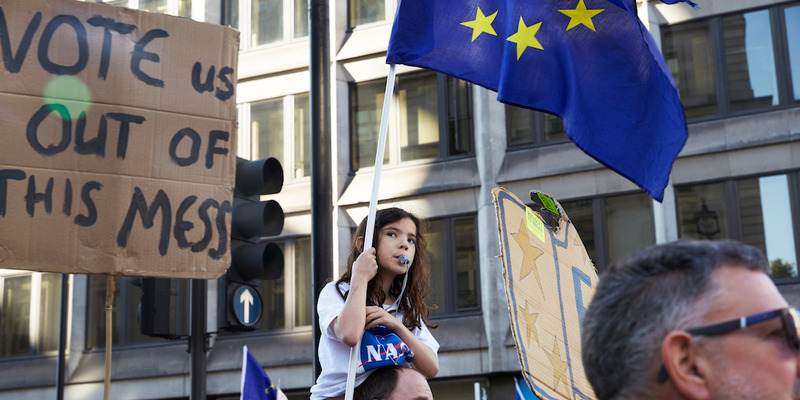 The march is to demand a People’s Vote on the final Brexit deal amid growing support from MPs from all the main political parties for a final say referendum. October, 2018. Any attempt by the UK to rejoin the EU during the transition period would, however, carry significant risks for those MPs seeking a reversal of Brexit. For one thing, though the UK would remain signed up to Brussels’ rules during the proposed 21-month transition period, it will no longer be a member state. That would mean it did not automatically have the right to reclaim its current terms of membership, such as the generous budget rebate negotiated by ex-UK prime minister Margaret Thatcher in 1984, should it want to rejoin. Countries like France which have taken a hardline approach to the terms of the UK’s departure would likely make it difficult for a rejoining UK to reclaim those terms of its previous EU membership. But Lamberts suggested that the 27 remaining EU member states could be persuaded to offer the UK its current terms of membership as a “price” for the UK of rejoining, despite likely opposition from France.